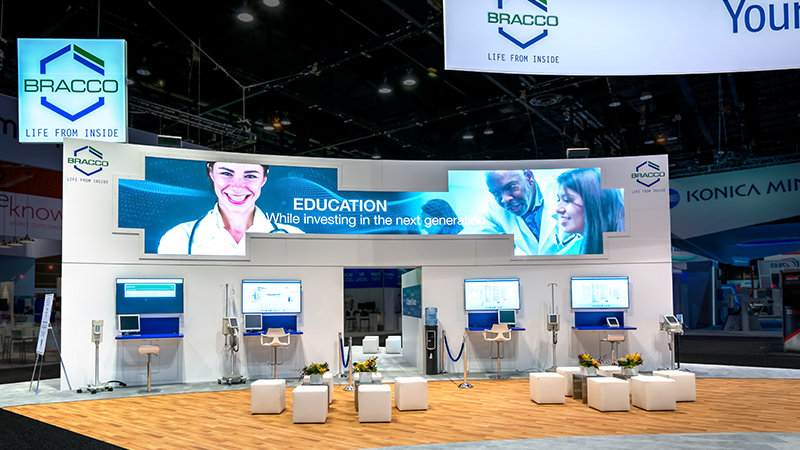 Reality testing: Bracco Diagnostics, Inc. wanted to reinvigorate their corporate image without overpowering their existing campaign—the updated campaign had to be bold and attention grabbing, as it was being unveiled at the largest yearly event in radiology. 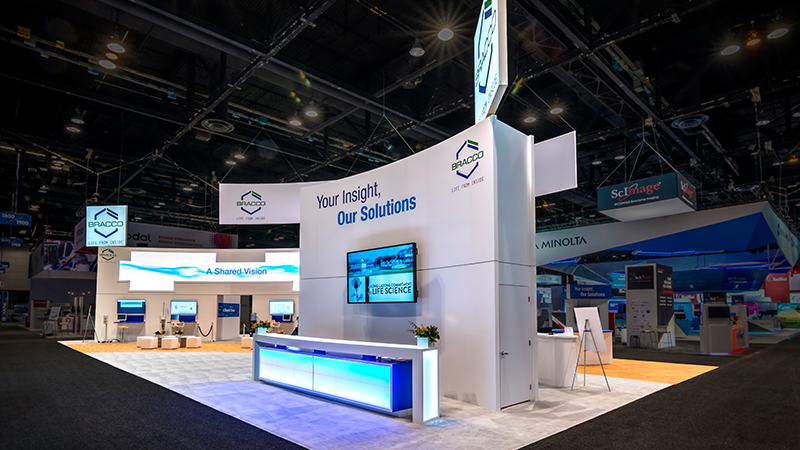 Envisioning a new reality: In stark contrast to Bracco’s competition, REALITYRx developed patient-centric branding featuring emotive images and bold messages that emphasized Bracco’s advantages. 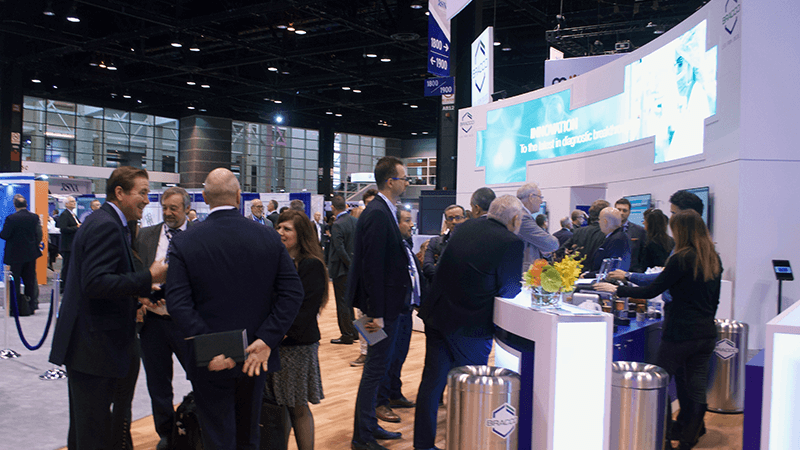 Inventing the reality: The “Shared Vision” campaign was introduced at the 2018 Radiological Society of North America (RSNA) meeting in Chicago. The revitalized corporate vision highlighted innovation, inclusion, and patient-centricity. 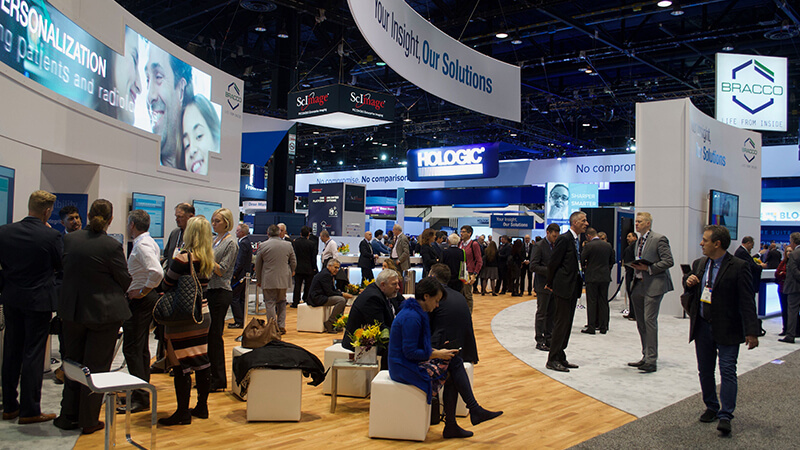 A towering 70-foot-wide LED screen drew crowds to the booth, exposing them to key messaging via digital brand carousels, digital panels, videos, and an immersive VR experience. 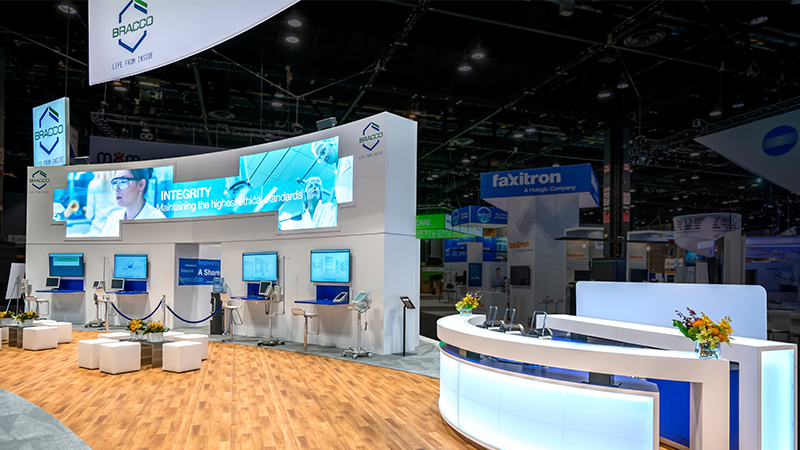 A 70-foot-wide corporate video was the RSNA centerpiece, with the “Shared Vision” theme towering over the venue. Six interactive displays at 2 kiosks allowed attendees to self-detail, accessing branded multimedia spanning 8 modalities. 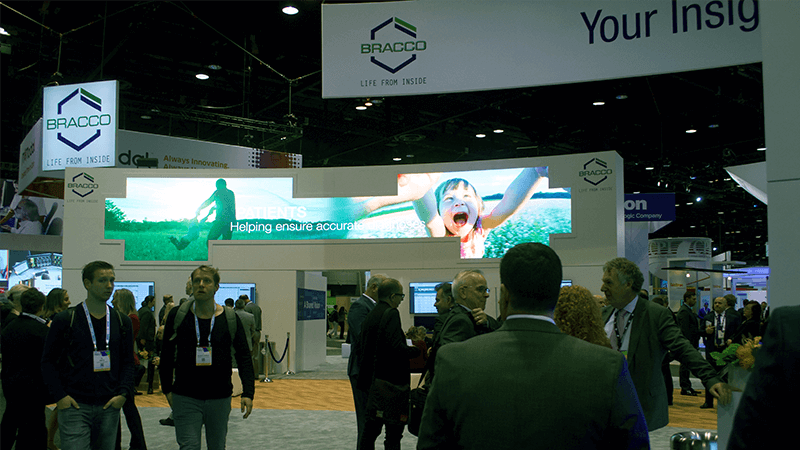 Strategically placed digital panels continually displayed key messaging and attributes, keeping Bracco top-of-mind with attendees. Dynamic 3D videos showcased how their new CT and MR injector systems improve workflow and patient care. Immersed in the digital world, the viewer explores “SmartInject” solutions that help streamline radiology department workflow.